For the Brussels regime of globalist eurocrats the upcoming European elections obviously represent an opportunity to fit itself with a new set of ‘democratic clothes’, but it also offers the patriotic-identitarian resistance an opportunity to revisit its critique of the ‘EU project’. At this point, the camouflage cover of EU emperorship has become so threadbare that even its heir-apparent Mark Rutte openly wonders if the time has not come to switch from outdated democratic outfits to updated totalitarian styles. In this regard, the title of his Zürich ‘Churchill Lecture’ of 13 February 2019 - interpreted as yet another ‘job application’ by many political analysts - leaves little room for doubt: ‘The EU: from the power of principles towards principles and power’. Despite the grammatical ambiguity, the ‘semantic switch’ is clear for all to see: the ‘power principle’ is now foremost in the minds of the eurocratic elite. For the EU needs a reality check; power is not a dirty word read: ‘the EU should use its instruments of power’. For the importance of being less naïve and more realistic read: ‘it is time to end the idealistic charade’. For The requirement of unanimity reflects the fact that foreign policy is part of the core of national sovereignty... But when it comes to sanctions, I do think that we must give serious thought to enabling qualified majority voting for specific, defined cases read: ‘the remaining state sovereignty of the member states should be diminished even further’. In fact, the transformation of the EU into a ‘super state’ is already a palpable reality: the steady accumulation of censorship in the (social) media and digital sphere, through ‘hate speech codes’, ‘fake news taskforces’ and ‘copyright directives’, is approaching the level of Orwellian perfection. As the totalitarian finish line of the EU project is coming into view, it is important to re-view its historical genesis and ideological baseline. The Maastricht Treaty that laid the formal groundwork for the present-day European Union was signed on 7 February 1992, only six weeks after the formal dissolution of the Soviet Union. Thus, the construction of the new cultural-marxist Western Bloc commenced almost immediately after the demolition of the old real-socialist Eastern Bloc. Since then, the EU was not only enlarged externally (most substantially through the hasty absorption of the Central European nation-states that had just freed themselves from Eastern Bloc rule) - it was also transformed internally, rapidly developing into a proto-totalitarian ‘super state’ project and a worthy successor to the Soviet Union. In a number of ways, the similarities are increasingly startling. The same social ‘deconstruction’ - Eastern Bloc: hyper-proletarian collectivism / Western Bloc: neo-matriarchal levelling. The same economic ‘deconstruction’ - Eastern Bloc: ‘forced collectivization’ / Western Bloc: ‘disaster capitalism’. The same ethnic ‘deconstruction’ - Eastern Bloc: ‘group deportation’ / Western Bloc: Umvolkung. In the contemporary West, the discrepancy between the theoretical discourse of the rulers and the practical lived reality of the people is approaching the same grotesque ‘doublethink’ level as it reached in the Eastern Bloc. The ideological doctrine of Western liberal-normativism theoretically upholds ‘freedom’, ‘equality’, ‘democracy’, ‘justice’ and ‘human rights’, but its real-time practice of nihilist deconstruction provides only social-darwinist economic jungle law, perverse social implosion, pervasive institutional corruption, failing law enforcement and wholesale ethnic replacement. In a certain sense, the Western Bloc has already surpassed Eastern Bloc totalitarianism: in all EU member states the EU flag is everywhere displayed right next to the national flag - a direct insult to national dignity that even the formally independent Soviet satellite states were spared. Given this escalating discrepancy between theory and practice, the ruling class of the Western Bloc - a globalistically-eurocratically operating coalition between neo-liberal high finance and cultural-marxist intelligentsia - has been transformed into a hostile elite in the true sense of the word. Its EU project has been shown for what it truly constitutes: a globalist anti-Europe project. If European civilization, and the indigenous peoples of Europe that are the bearers of this civilization are to survive, the removal of the hostile elite must have absolute priority. In working towards this end, a fundamental (cultural-historical, political-philosophical) critique of its ideology is of crucial importance for the patriotic-identitarian resistance. An important contribution to this critique has recently been made by Belgian Traditionalist publicist Robert Steuckers: a better ‘guide’ to the issues at stake in the upcoming ‘European elections’ of May 2019 than his great trilogy Europa is hardly imaginable. This present essay aims at making Steuckers’ analysis of Europe’s authentic core values and identitarian roots, found in Part I of Europa but written in French and not yet translated, available to a wider English-speaking audience. Part I of Europa offers more than a thorough counter-analysis of the postmodern ‘deconstruction’ of Europe’s authentic values and identities: it offers a clear formulation of a viable alternative: an Archaeo-Futuristically inspired ‘Europe of the Peoples’, based on the complementary principles of autonomous ethnic communities, consistently-applied political subsidiarity and pragmatic confederative structures. It ought to be said once more: the Western patriotic-identitarian movement owes Robert Steuckers a great debt of gratitude for his tireless educational work. Above and beyond this, the patriotic-identitarian movement of the Low Countries congratulates him on rising above the usual intellectual mediocrity of our ‘lowlands’ - and reminding Europe of the fact that even in our backwaters thought is being given to the possible shape of a new Europe of the Peoples. (*) As in the case of the preceding ‘Steuckers reviews’, this essay is not only meant as a review: it also serves as a meta-political analysis in its own right - a contribution to the patriotic-identitarian counter-deconstruction of the postmodern deconstruction discourse of the Western hostile elite. The core of this essay provides a summary of Steuckers’ Traditionalist exploration of European identity. This exploration puts a full stop behind the postmodern deconstruction of that identity and provides a cultural-historical tabula rasa that allows the patriotic-identitarian movement to give an entirely new and revolutionary meaning to the idea that is ‘Europe’. 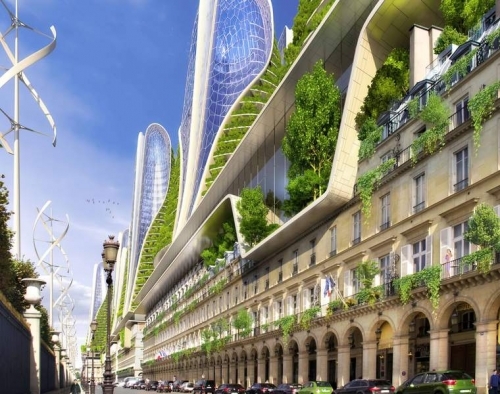 In an intellectual sense, an Archaeo-Futurist Europe is now effectively within reach. (**) This essay treats the ‘European case’ in three steps: the first paragraph triad offers base-line ‘diagnostics’, the second paragraph triad offers ‘therapeutic’ reference points and the seventh paragraph suggests avenues for a concrete ‘treatment’. In the first and last paragraphs, the reviewer gives an outline of the larger Archaeo-Futurist context within which Steuckers’ exploration of European identity becomes relevant for the patriotic-identitarian movement - the actual ‘review’ of Steuckers’ Europa I is found in paragraphs 2 through 6. (***) For an explanation of the chosen linguistic form and note format the reader is referred to the prologues of the preceding ‘Steuckers reviews’. Till today, H.G. 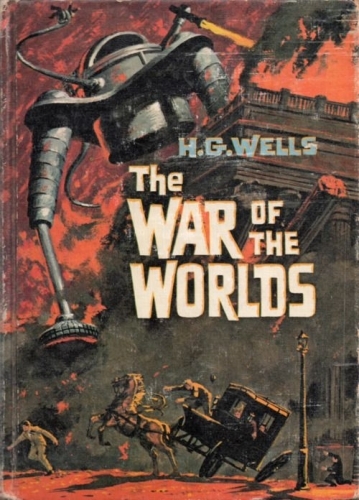 Wells’ masterpiece The War of the Worlds not only remains one of the greatest works of the entire literary science fiction genre: till today, this evergreen also retains a direct - albeit mostly unconsciously and instinctively recognized - relevance to the existential condition of Western civilization. Wells’ masterful impressionist rendering of ‘Earth under the Martians’ sketches a world where mankind has lost its bearings - where all recognition and reference points have been wiped away. As human civilization is destroyed by superior alien technology, alien occupation reduces mankind itself to cattle for the slaughter - even earthly nature itself is displaced by alien vegetation. Thus a (literally) creepy ‘red weed’ - a reference to the red colour of ‘war planet’ Mars - grows over the ruins of human civilization, suffocating the remnants of earthly vegetation. Literary analyses of The War of the Worlds recognize that Wells’ masterpiece can be plausibly interpreted as a series of retrospective and contextual psycho-historical ‘mirror images’. Thus, Wells projects the imperialistically rationalized and social-darwinistically justified genocide of ‘primitive peoples’ (such as the indigenous people of Tasmania) by the ‘white master race’ throughout the modern era on the hypothetical extermination of humanity by a superior alien race. He also projects the dehumanizing horror of the rising ‘bio-industry’ of his time on humanity’s hypothetical ‘cattle status’ under alien dominion. Most literary analyses, however, stop of short of pointing to the predictive value of Wells’ work - a value that derives from its forward projection of multiple and simultaneous occurring technological and sociological developmental trajectories. Earlier times would undoubtedly have been recognized Wells’ genius literary packaging of these projections as straightforward ‘prophecy’ – our own time must make do with ‘scientific fiction’. The existential stress fractures that Modernity has caused in Western civilization can be analyzed - and partially projected forward - by means of modern scientific models: economically as Entfremdung (Karl Marx), sociologically as anomie (Emile Durkheim), psychologically as cognitive dissonance (Leon Festinger) and philosophically as Seinsvergessenheit (Martin Heidegger). For the Western patriotic-identitarian movement the meta-political relevance of these analyses does not primarily reside in their - sometimes ideologically biased - ‘deconstructive’ capacity, but rather in their simple diagnostic value. In this respect, there exists an important similarity between such modern scientific models and modern artistic ‘models’ such as Wells’ The War of the Worlds: by interpreting societal develops as ‘omens’ they can provide societal ‘traffic signs’ - and existential ‘warning signs’. By now, the accumulative impact of Modernity on Western societies is so great that the existential condition of the Western peoples can no longer be described in terms of authentic civilizational continuities or historical ‘standard settings’. When deviation, aberration and derailment determine an entire existential condition, then historically recognizable ‘standards’ are obsolete. When scientifically formulated ‘traffic signs’ are ignored for long enough, then artistically ‘predicted’ dystopian abysses must be faced. It is not by chance that the current phase op (ex-)Western cultural history is described by the term ‘post-modern’: the (ex-)Western societies of today have largely left behind authentic civilizational continuity and they are now moving with increasing speed in the direction of existential conditions that bare an uncanny resemblance to those that prevailed in Wells’ vision of Earth under the Martians. The new ‘globalist’ ruling class of the West has effectively separated itself from the Western peoples - and positioned itself above it. Now, its only ‘connection’ to these peoples is found in the impact of its power. The hostile elite now considers itself superior to the ‘masses’ that it has ‘outgrown’ in a sense that is not merely ethical and aesthetical: it considers itself evolutionarily superior - it has become alienated in the most literal sense of the word. The consistently negative effects of the hostile elite’s exercise of power - felt most particularly in neo-liberal exploitation, industrial ecocide, bio-industrial animal cruelty, cultural-marxist deconstruction, social implosion, ethnic replacement - define its role as a literally hostile elite. It does not know empathy and sympathy in any way, shape or form: not for its Western enemies, not for its Third World servants and not for its home planet - it is now literally alien to the Earth itself. The globalists are at war with humanity as a whole. They seek to eliminate or enslave at will. They care about themselves and themselves alone. They are committed to concentrating all wealth in their hideous hands. In their evil eyes, our only purpose is to serve them and enrich them. Hence, there is no room for racism, prejudice, and discrimination in this struggle. It is not a race war but a war for the human race, all included, a socio-political and economic war of planetary proportions (Jean-François Paradis). 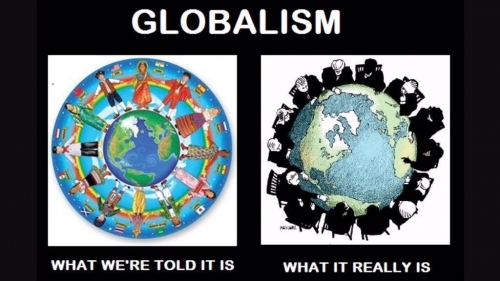 The globalist - and therefore anti-European - geopolitical strategy of the hostile elite (which aims at industrial delocalization, social atomization and cultural deracination, cf. Steuckers 223ff.) may be recognized as social-economic and psycho-social warfare by a handful of patriotic-identitarian thinkers, but the Western masses only recognize its effects: economic marginalization (labour market manipulation, artificial unemployment, interethnic wealth redistribution), social malaise (matriarchal anti-law, family structure disruption, digital pornification) and cultural decadence (educational ‘idiocracy’, academic ‘valorization’, media ‘political-correctness’). Through a carefully calibrated - but now critically dosed - process of mass immigration, the hostile elite is constantly reinforcing these economic, social and cultural ‘deconstruction’ programs, to the point of irreversibility. The Umvolkung process aims at eradicating the Western peoples as ethnically, historically and culturally distinct entities by ‘dissolving’ them in an atomized mass of atomized déracinés - by stamping them down into la boue, the ‘mud’ of identity-less, character-less and will-less ‘mass man’. This process of ethno-cultural, social-economic and psycho-social total levelling, for now directed primarily at Europe, aims at the ultimate Endlösung of the core problem of the New World Order, which is the continued existence of authentic - and therefore automatically anti-globalist - identities at the collective level. Most concretely, this Endlösung is realized through the totalitarian implementation of ethnocidal ‘multiculturality’ and anti-identitarian ‘mobocracy’. The motivations and aims of the hostile elite effectively ‘surpass’ the imagination of the Western masses - in certain respects, they even ‘surpass’ the common categories of human thought. In fact, their ‘un-earthly’ and ‘diabolical’ quality is starting to become increasingly evident in its concrete effects. Elsewhere, the ideology of the hostile elite was defined as ‘Culture Nihilism’, i.e. as an improvised amalgam of ideas characterized by militant secularism, social-darwinist hyper-individualism, collectively internalized narcissism and doctrinal culture-relativism aimed at the destruction of all authentic forms of Western civilization. The fact that the Western masses are not able to grasp Cultural Nihilism as an ideology and a program is largely due to its deliberate ‘vagueness’: the explicit motivations and aims of the hostile elite are intentionally il-logical and anti-rational. The only thing that is important for the hostile elite is power: its so-called ‘ideas’ are mere stratagems to gain, retain and expand power: they should be understood as ‘frames’ that serve specific purposes in cognitive warfare. A good example of this cognitive warfare can be found in the currently fashionable ‘climate debate’: the ‘party (cartel) line’ that has been laid out by the hostile elite makes an appeal to Gutmensch eco-consciousness, but the punitive tribute that is imposed on the masses by means of new ‘climate taxes’ is exclusively used for ‘investment’ in commercial ‘climate business’ - and to subsidize politically-correct ‘climate clubs’. 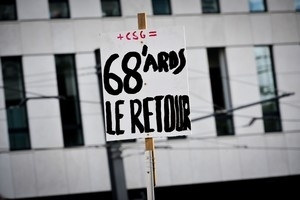 The inevitable popular backlash is then cognitively ‘transposed’ into a sub-rational ‘climate denial’ discourse that is projected on - even pragmatically claimed by - the ‘populist’ opposition, either in activism (the French ‘yellow vests’) or in parliament (the ‘0,00007 degrees centigrade’ slogan of the Dutch Forum for Democracy party). In this case, the cognitive dissonance that has been successfully created by the hostile elite runs so deep that the ‘common man in the street’ is actually denying the reality of vanishing winter ice and absurd February springs seasons to himself. The balancing act of the hostile elite is entirely effective: the ‘populist opposition’ is happy to abandon the moral high ground for the sake of a few extra parliamentary seats, the masses are happy because they can continue their ‘dance on the volcano’ with some extra years of holiday flights and automobile kilometres and the hostile elite is happy to continue in its ‘economic growth’ model - and with the extra ‘climate taxes’ that can be fed into ‘commercial investments’ and, of course, ‘climate refugees’. In the meantime, ‘business as usual’, or actually more than usual, means that the ecocidal clock of anthropogenic global warming and meteorological catastrophes is left to run its course - to the ‘final countdown’. On balance, however, the Western masses do instinctively recognize the globalist megalomania of the hostile elite - the elite intelligentsia dismisses this instinctive recognition as ‘belly feel’ and it disqualifies its political expression as ‘populism’. This extreme demophobic arrogance may long retain its effectiveness, but in the longest run, it will come at a heavy price: even now, the Western peoples are beginning to experience the globalist regime of the hostile elite as an ‘alien occupation’. The masses are slowly by slowly starting to see the all-suffocating power of the hostile elite for what it is: an alien ‘red weed’ that is literally smothering Western civilization and the Western homeland. Impia tortorum long[o]s hic turba furores sanguinis innocui, non satiata, aluit. fed their long-lasting frenzies for innocent blood. From a political-philosophical perspective, the deeply anti-European ‘EU project’ represents no less than a globalist Machtergreifung. Neo-Jacobin radicals have taken over the reins of power and the historical precedents for Jacobin power experiments - as in French and Russian revolutionary terror - should set off alarm bells all over Europe. But knowledge of the European historical context of the ‘EU project’, by itself, is insufficient for a thorough understanding of its ostensibly contradictory - because self-destructive - anti-European aims. Such an understanding requires insight into the larger aims of globalism - in his Europa trilogy, Steuckers now provides that insight in a lucid and concise manner. - one needs to commit it on behalf of humanity. In the mid-‘80s, after four decades of Cold War, the first stress fractures started to appear the globally operating power structures of the two superpowers. 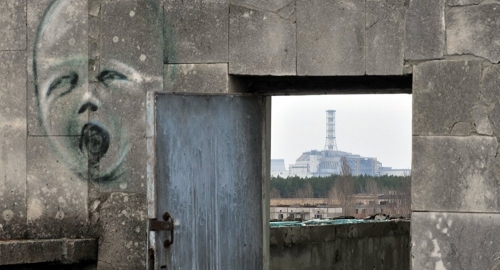 The Challenger and Chernobyl disasters (respectively, 28 January and 26 April 1986) clearly illustrated the fact that the symptoms of ‘imperial overstretch’ could no longer be hidden from public view. Escalating economic chaos and increasing loss of political credibility forced both superpowers into radical domestic reforms: Reaganomics and Perestroika represent the superpowers’ geopolitical high water mark. After the implosion of the Soviet Union, the United States formally comes out ‘on top’, but the Pyrrhic quality of America’s Cold War ‘victory’ soon becomes undeniable: it immediately ‘rolls over’ when China transforms itself into an economic superpower and it soon retreats from the Third World, which had been the prime battlefield of the Cold War just a few years before. After the American defeat in Somalia (Black Hawk Down, 1993), Africa is allowed to collapse into ‘failed states’ and neo-tribal chaos. After the American retreat from Panama (Canal Zone Handover, 1999), Latin America is left to Bolivarianismo and the Marea Rosa. The imperialist ‘rat race’ between sovereign nation-states that started with the ‘World War Zero’ Seven Years War (1756-63) may have ended with America as ‘last man standing’, but the enforcement of an authentically imperial Pax America is far beyond the scope of America’s geopolitical intent, ambition and capacity. Thus, despite the overt Wilsonian rhetoric that surrounded America’s interventions in Iraq (Bush Senior in 1991 and Bush Junior in 2003), these do not represent exercises in principled ‘global governance’ - rather, they simply represent attempts at pragmatic resource control. 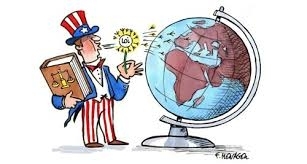 After the self-abolition of the Soviet Union as a superpower contender and after the official announcement of a ‘New World Order’ (Bush Senior, 1991), the American ruling class decided that the ‘End of History’ (Francis Fukuyama, 1992) had come: it decided to switch from Americanism to globalism. Thus, it deliberately transformed itself into a ‘world elite’, now accessible to anybody with very much money and very little morality. This new world elite considers itself entirely exempt from the old rules and laws of geopolitics: from its perspective, national sovereignty, cultural uniqueness and ethnic identity are hopelessly outdated phenomena that merely stand in the way of its ‘Brave New World’. As a group, this new ‘globalist’ elite has cut itself off from all ethnic, religious and cultural roots: on the basis of this self-willed rootlessness it turns against the rest of mankind, to the extent that the rest still possesses roots: against states that still possess sovereign rights, against cultures that still possess authentic essences and against peoples that still possess substantial identities. The globalist hostile elite is born. 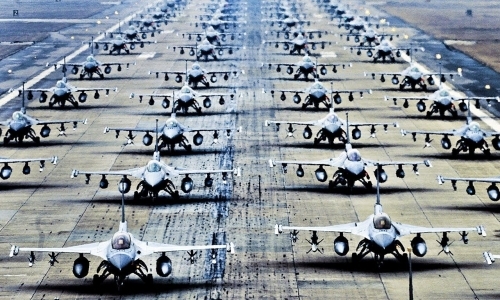 The globalist hostile elite instrumentalizes American military power and political influence: it uses American power and influence to further its own globalist agenda. It abuses American prestige, American wealth and American lives - this is the deepest reason for the anti-globalist and nationalist ‘populist’ backlash that brought Donald Trump into the White House. But the hostile elite operates above and behind formal institutions such as the presidency: in America, real power is largely exempt from institutional control and democratic correction. Real power resides in the ‘Washington swamp’, the ‘lying press’ and the ‘deep state’ - they determine policy; it is to fight these monsters that the American people chose Donald Trump to be its president. The monstrous power of the hostile elite, however, is so great that the public sphere is still dominated by Trump’s enemies, even two years after his election victory. The terrible anger and open sabotage with which the hostile elite responds to Trump is understandable: in the final analysis, the fate of the globalist hostile elite depends on its control over American military and political assets. The hostile elite needs to maintain its control over America’s monetary supply, America’ armed forces and America’s diplomatic network if it wants to maintain the international geopolitical chaos on which its financial interests and ideological chimaeras thrive. The most pressing geopolitical concern of the hostile elite and the reason it needs absolute control over America is the permanent subjugation of its potentially most dangerous enemy: Europe. The deadly danger to nihilist and rootless globalism posed by Europe resides in its combination of technological-industrial/social-economic capacity with authentic cultural-historical rootedness/ethnicity-based identity. After the collapse of the Soviet Union the task of keeping Europe in subjugation to globalism, previously shared between the two superpowers, devolved on the United States alone. The globalist strategy to achieve this task started out twofold: the globalist hostile elite enforced a permanent weakening of newly re-united Germany (through formal sovereignty limits and ‘monetary union’ tribute payments to France) and it expanded American military presence eastward (through NATO enlargement). This double strategy, however proved problematic as a long-term solution to the ‘European Question’: given America’s many global commitments, its military presence throughout all of Europe constitutes a considerable liability that forces it into grotesque deficit spending and risqué diplomatic brinkmanship. Its centrepiece, the ‘containment’ of Germany, is also proving to be more problematic than previously thought: even the burdens of German unification (from 1990) and European single-currency liability (from 1999) have not been able to slow down the German social-economic motor. Quite the opposite has happened: EU expansion into the former Eastern Bloc (from 2004) is raising the old spectre of a German-led semi-autarkic geopolitical bloc. The prevention of such a Mitteleuropa project was the main aim of the Balkan ‘thwarting’ policy of the Entente powers in the early 20th Century: in the summer of 1914 it finally provoked the Central powers into starting the First World War. This geopolitical ‘larger picture’ provides an entirely different perspective on phenomena such as the ‘Financial Crisis’ of 2008, which started in America but led Europe into the crippling ‘European Debt Crisis’ of 2009, and the ‘Arab Spring’ of 2011, which led to the ‘European Migration Crisis’ of 2015. Everywhere across Europe this globalist discourse is entirely internalized and primarily represented by the soixante-huitard generation that achieved a power monopoly in the wake of its ‘long march through the institutions’. Pendant les années de leur traversée du désert, ...les [utopistes]de [la] génération soixante-huitard] feront... un ‘compromis historique’ qui repose, ...premièrement, sur un abandon du corpus gauchiste, libertaire et émancipateur, au profit des thèses néolibérales, deuxièmement, sur une instrumentalisation de l’idée freudo-sartienne de la ‘culpabilité’ des peuples européens, responsables de toutes les horreurs commises dans l’histoire, et troisièmement, sur un pari pour toutes les démarches ‘mondialisatrices’, même émanant d’instances capitalistes non légitimées démocratiquement ou d’institution comme la Commission Européenne, championne de la ‘néolibéralisation’ de l’Europe, dont le pouvoir n’est jamais sanctionné par une élection. [During their years in the desert... the [utopists] of the [‘68] generation... made a ‘historical compromise’ that is based... on [three complementary strategies]: (1) an [abandonment and] betrayal of their [core] leftist ideology [of] freedom and emancipation in favour of neo-liberalism, (2) a [political] application of the Freudian-Sartrean notion of the ‘guilt’ of the European peoples, [who are held] responsible for all crimes in history and (3) an adherence to ‘globalizing’ processes - even [if those processes] are driven by [un]democratic [and] illegitimate capitalist powers of institution[s] such as the European Commission, [which has become] the champion of the ‘neo-liberalisation’ of Europe and which has never received a democratic mandate.] (p.293) This ideological betrayal and this globalist collaboration, now the standard modalities of the European hostile elite, have brought European civilization to the brink of the abyss. The totalitarian-regressive fanatisms of ‘Puritanical’ liberal-normativism and ‘Wahhabist’ islamism have to be overcome emotionally, intellectually and spiritually if European civilization and the European peoples are to survive the Crisis of the Modern West. At this critical juncture, the therapy that Traditionalism can recommend as having the greatest chance of success is the ultimate political-philosophical ‘emergency option’: Archaeo-Futurism. The Archaeo-Futurist alternative for the globalist anti-European ‘EU project’ is based on a simultaneous retrograde recovery and forward projection of a Traditionalist concept that has long played a vital role in European history and may do so again: the European Imperial Idea. This is an idea that is strictly speaking supra-historical and can, therefore, be reactivated at any given point in history. The ideological abuse and historiographical misinterpretation of the European Imperial Idea in 19th and 20th Century (hyper-)nationalism - most recently in the ‘Third Reich’ - does not invalidate its supra-historical vitality. In this regard, Steuckers points to the vital importance of a correct understanding of the larger Traditionalist framework in which the Imperial Idea functions. Traditionalism states that all collective (linguistic, religious, ethnic, national) identities and the horizontally (worldly, physically) experienced differences between them are potentially organic parts of larger, synergetically unique entities with a higher, vertical, and transcendentally (spiritually, psychologically) experienced functionality. This entity can be identified as Imperium (German: Reich) - in the Western Tradition it derives its legitimacy from the ancient Roman Empire. Its numinous character becomes obvious from the fact that its mere mention conjures up a feeling of awe among those that naturally belong to it - and that inspires a feeling of fear among those that are unworthy of it. In relation to the Imperial Idea, ‘identity politics’, ‘multiculturality’ and ‘diversity’ are effectively reduced to ‘non-issues’: they are organically resolved by - and dissolved in - a sublimation into the higher functionality of the Empire. L’empire est donc fait de multiplicités, de différences, qui n’ont rien de commun avec la fausse multiculturalité vantée par les médias d’aujourd’hui. Cette multiculturalité, escroquerie idéologique, relève justement de cette horizontalité qui vise à vider tous les hommes, autochtones et allochtones, de leur substance ontologique. Cette multiculturalité tue l’essentiel qui vit en l’homme. Toute politique qui cherche à la promouvoir est une politique criminelle, exterministe... [Thus, an Empire is based on [necessarily complex] pluralities [and] diversities that have nothing in common with the counterfeit ‘multiculturality’ currently promoted by the [main stream] media. This [fake] multiculturality represents an ideological deception that is based on [modernist] horizontality [and] that is meant to deprive all people - indigenous as well as non-indigenous - of their ontological substance. [That perverse kind of] multiculturality kills the essence that animates humanity. [Any form of] politics that aids and abet [this counterfeit multiculturality] constitutes criminal - and ethnocidal - politics....] (p.158) It is ironic that the Traditionalist concepts of the Imperial Idea and the Imperial Community provide much more tolerance and much more freedom than any kind of modernist ‘diversity’ and ‘democracy’ ever could. Western civilization is based on a vulnerable balance of complementary authentic identities that obtain synergetic ‘added value’ in a variety of historical interactions. This ‘added value’ can be expressed in the ‘hyper-boreal’ archetypes of Techne (technological liberation), Nomos (judicial liberation) and Evangelion (spiritual liberation). But this ‘added value’, and the ethnicities on which it is based, require constant protection and guarding - this is the basis of the Traditionalist European Imperial Idea. 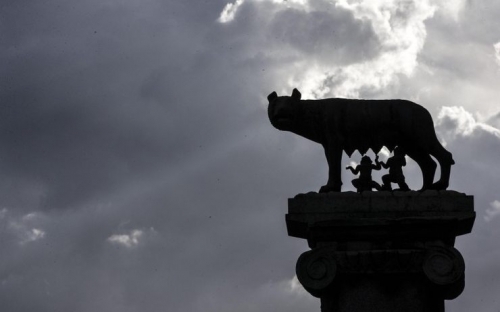 En Europe, les structures de type impérial sont... une nécessité, afin de maintenir la cohérence de l’aire civilisationnelle européenne, dont la culture a jailli du sol européen, afin que tous les peuples au sein de cette aire civilisationnelle, organisée selon les principes impériaux, puissent avoir un avenir. [In Europe, structures of the imperial type... are indispensable for the cohesion of the European civilization sphere, which is grounded in the European soil - and for the future of the peoples that are indigenous to that sphere. [The maintenance of that cohesion requires] the organization of that sphere on imperial principles.] (p.214) A simultaneously idealistic and realistic - Archaeo-Futurist - reconsideration of the European Imperial Idea is essential for the protection of the European peoples and their common civilization. The extension of the European Imperial Idea to include the overseas peoples of European descent is a logical next step: this step has already been Archaeo-Futuristically explored in the concept of a ‘Boreal Alliance’. At a global level, such an alliance would find natural allies in the other two Indo-European Imperial Ideas: Persia and India - an Archaeo-Futurist exploration of this theme can be found in Jason Jorjani’s concept of the ‘World State of Emergency’. The alternative geopolitics that is required to do justice to these Archaeo-Futurist visions is already the object of concrete study in the anti-globalist Neo-Eurasianist movement. Traditionalism is tasked with the defence of the collective ‘Higher Vocation’ of the European peoples whenever it faces a serious threat. 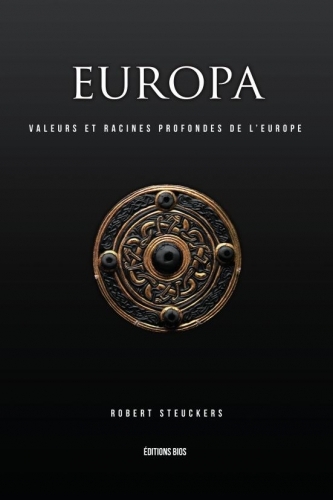 Steuckers acts on this obligation by restating the Traditionalist vision of Europe: L’Europe, c’est une perception de la nature comme épiphanie du divin... L’Europe, c’est également une mystique du devenir et de l’action... L’Europe, c’est une vision du cosmos où l’on constate l’inégalité factuelle de ce qui est égal en dignité ainsi qu’une pluralité de centres... [C’est] une nouvelle vision de l’homme, impliquant la responsabilité pour l’autre, pour l’écosystème, parce que, ... sur [s]es bases philosophiques, ...l’homme... est un collaborateur de Dieu et un miles imperii, un soldat de l’empire. Le travail n’est plus malédiction ou aliénation mais bénédiction et octroi d’un surplus de sens au monde. 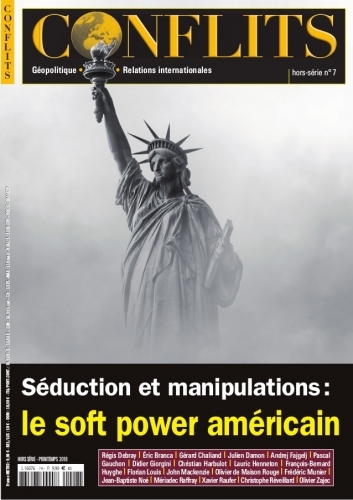 La technique est service à l’homme, à autrui... La construction de l’Europe... nécessite de revitaliser une ‘citoyenneté d’action’, où l’on retrouve la notion de l’homme coauteur de la création divine et l’idée de responsabilité. [‘Europe’, [as a Traditionalist concept,] is a vision in which the natural world is treated as Divine Epiphany... [Such a] Europe is a mystery of becoming and enacting... [Such a] Europe is a cosmic vision that recognizes the factual inequality of all things as well as their equality in dignity - and [that validates cultural-historical and geo-political] multipolarity... [This] new vision of humanity implies a responsibility for [all that] is different [and] for the entire [natural and human] ecosystem because... at its philosophical [this vision establishes]... every man as a collaborator of God - [as] a miles imperii, a soldier of the [divinely instituted] Empire. Thus, work no longer represents a curse or alienation, but a blessing as a duty regarding a [higher sense of] responsibility for [all of creation]. Technology serves man in his work - [also] for the benefit of the other... The construction of Europe... demands a new ‘activist citizenship’ that is based upon the idea of man as a co-worker in the Divine Creation - and upon the idea of a [cosmic] responsibility that is rooted in authentic identity and vocation.] (p.138-9). It is clear that the Higher Vocation of the European peoples does not stop at the geographical borders of the European subcontinent: it is retained by the European peoples that have moved across these boundaries to dominate the boreal and austral regions overseas. Inwardly, this Higher Vocation requires individual self-discipline, individual work ethic and individual acceptance of hierarchical order - and therefore a radical reversion of the narcissist, hedonist and collectivist existential modality that is fostered and maintained by the liberal-normativism that dominates the postmodern West. This requires a transition to a new (or re-newed) existential condition, dominated by authentic norms and values - and by a legitimate Authority. 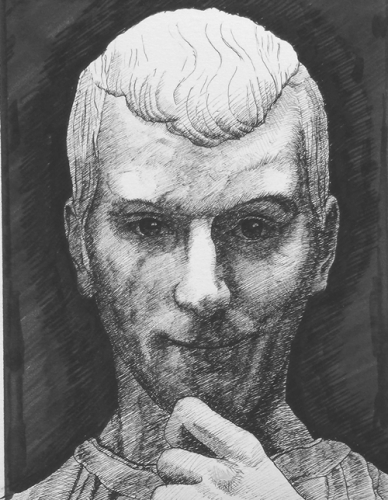 In the European Tradition, which is based on a Roman archetype, this Authority bears the title ‘Caesar’ - Emperor. Dans la conception [traditionaliste] hiérarchique des êtres et des fins terrestres... l’empire constituait le sommet, l’exemple impassable pour tous les autres ordres inférieurs de la nature. De même, l’empereur, également au sommet de cette hiérarchie par la vertu de sa titulaire, doit être un exemple pour tours les princes du monde, non pas en vertu de son hérédité, mais de supériorité intellectuelle, de son connaissance ou des ses connaissances. Les vertus impériales sont justice, vérité, miséricorde et constance... [In the [Traditionalist] vision of the hierarchy of creatures and purposes... the Empire represents the highest aim, the unrivalled example for all lower natural orders. This means that the emperor, who stands at the apex of this hierarchy on the basis of his title, provides an example for all [other] worldly princes - not on the grounds of his [earthly] descent but [on the grounds] of his intellectual superiority and of his abilities and insights. [In him,] the imperial ‘[political] virtues’ of justice, truth, mercy and stability [are realized]...]. (p. 136) Obviously, a recognizably legitimate Authority is difficult to imagine in the present European context, but still, the archetype of this Authority is indispensable as a fixed point of reference. To a certain extent, the same applies to the Imperial Idea as such: within the present-day discourse of political philosophy, the concept is primarily meant as a thought experiment that allows the patriotic-identitarian movement to chart a new course towards a new destination. In the same way that the ‘Kingdom of Heaven’ embodies the Higher Vocation of Christianity, thus the Imperial Idea embodies the Higher Vocation of European civilization - even if the ideal has not yet been tangibly realized in the here and now. Thus, the old Traditionalist Imperial Idea can serve as a reference point for a new Archaeo-Futurist Imperial Idea. Here too, the hierarchical political philosophy of Neo-Eurasianism can serve as a bridge. The effectiveness of any Archaeo-Futurist therapy for the psycho-historical self-mutilation of Western civilization depends on the re-discovery and the re-activation of its archetypes. From a meta-historical perspective, the political experiment of the narrowly nationalist and hyper-biodeterminist ‘Third Reich’ represents a rather improvised attempt at re-activating of these archetypes. The (actually rather tenuous) association of the Traditionalist Imperial Idea with the ‘Third Reich’ and the European Götterdämmerung of 1945 effectively removed these archetypes from Western public discourse. Thus, the idealistic, knightly and ascetic existential models that are linked to these archetypes, as incarnated in the ancient vocations of Academy, Nobility and Church, lost their raison d’être - the utter decay of the West’s academic, military and ecclesiastical institutions proves this point beyond a reasonable doubt. This psycho-historic Untergang has recently reached the point that anything that even vaguely refers to ‘aristocratic’, ‘aryan’ or ‘masculine’ quality is automatically considered ‘subject’ in the public sphere. Deep conditioning in matriarchal oikophobia and resentful feminization has destroyed the old Western institutions of Academy, Army and Church. Even so, this process is far from irreversible - it may even be considered as an indispensable part of a purifying ‘dialectic process’. In such a process, an extreme negative polarity is a necessary precondition for any extreme discharge of positive energy. Thus, the ‘deconstruction’ of the improvised and superficial ‘hyper-nationalist’ and ‘hyper-biodeterminist’ ideology of the ‘Third Reich’ may, in fact, turn out to be a necessary precondition for a re-discovery and re-activation of the deepest archetypes of the Indo-European Tradition. The Archaeo-Futurist exploration of these deepest archetypes has started only recently, but the direction in which the new Golden Dawn of the West must be sought is already clear: - ex oriente lux. Jason Jorjani, the philosophical pioneer of the Archaeo-Futurist Revolution in the New World has already crossed the ‘event horizon’ of Western Modernity and he has already reported back on the civilizational outlines that are becoming visible in the first rays of what may be termed its coming ‘Golden Dawn’. It is cannot be a coincidence that Robert Steuckers, the foreman of Traditionalism in the Low Countries, is pointing in the same direction. Both are pointing to the oldest Indo-European archetypes that have been preserved in the Persian Tradition - and both point to their imminent return to the West. Throughout the ages, the Indo-European archetypes that are at the core of the Persian Tradition have been transmitted to the West through various channels: through the [Hellenic] Empire of Alexander the Great, through the Crusaders, through Oriental Studies - and through the philosophy of the Traditional School (Steuckers, p.161ff). Their power resides in their essence - an essence that can be destroyed neither by pseudo-islamic cultural levelling, nor by pseudo-christian psychological regression, nor by cultural-nihilist intellectual deconstruction. Nietzsche overcame modern European nihilism in an authentic re-activation of the Indo-European archetype that is embodied in the Persian prophet Zoroaster. Nietzsche not only sought physical health in the High Alps, but he also sought spiritual health on this most rarefied top of the Indo-European Tradition - there he found the cure for nihilism. ...wirf den Helden in deiner Seele nicht weg! Halte heilig deine höchste Hoffnung! Every quest for the highest good must start with transforming the lowest defect. Thus, the foundation of the Western Imperial Idea depends on the proper tending of the Western soil. The building of the larger Western Empire depends on the proper construction of the smallest Western houses. ‘A better Netherlands starts in Small Houses!’ - these were the words of His Majesty King Willem Alexander of the Netherlands in his Christmas speech of 2018. These simple words express a profound truth: the King refers to the fact that all greatness starts small - even the greatest journey begins with one small step. For the Dutch people, a New West and a New Europe must start with a New Netherlands. It must start even tinier: it must start in a new city, a new village, a new street - and a new self. A New West starts with the basic qualities that define Western-ness: self-discipline, labour ethics, natural hierarchy and future planning. With basic ethics that include family dedication and marital faithfulness, modest wage demands and conscientious work, appropriate respect for high birth and natural abilities, social space for artistic talent and scientific achievement, solidarity with less fortunate fellow-countrymen and ecological responsibility. Thus, the characteristic features of the contemporary West and its liberal-normative postmodernity - collective narcissism, consumer hedonism and artificial class struggle - are entirely incompatible with Western-ness. But Western-ness is also incompatible with undignified reaction to these phenomena: a New West can never be achieved by ‘angry white men’. It can only be achieved - and maintained - by happy white people. It can only be achieved if it is built upon the positive energy of the indigenous European peoples - an ethnic collective that can only be historically defined as phenotypically ‘white’. This positive charge can only develop through self-esteem: in this regard, the slogan ‘it’s ok to be white’ is no more than a point of departure. This implies that not only European men but also European women should be able to positively experience their specific human identities as Europeans and as women - and to reject the artificially oikophobic and feminist ‘class warfare’ against European civilization and European men. It should be said that this New West - which must define itself as a universal standard of civilization - needs to reserve some space for a (limited number of) hard-working, well-behaved and well-intentioned (ex-colonial, inter-married, assimilated) non-Westerners, to the extent that they are able and willing to conform to the Western Leitkultur. This is an intrinsic feature of the Archaeo-Futurist Imperial Idea: it recognizes that the ‘magnetic’ effect of the authentic Western Tradition may result in an existentially regulating. i.e. inwardly transformative, attraction for gifted and talented individuals from other cultural circles. This effect, however, can never be assumed to automatically apply to entire ethnic collectives from other cultural circles: it requires an absolutely dominant Leitkultur that guarantees the high polar tension that is required for that inner transformation. The failure to impose that dominance is among the most reasons for the catastrophe of liberal-normative ‘multiculturalism’. Steuckers points to the need for ‘micro-re-territorializations’ throughout the entire Western habitat, i.e. for a Reconquista of the West by means of a systematically planned and minutely exercised reclamation of the heritage of the West. Thus, for Steuckers too, the re-building of the larger Western Empire starts with the proper re-construction of the smallest Western houses: a New West starts with by re-living local traditions, regional cohesions and national identities. In the overseas Anglosphere, this requires a bottom-to-top reaffirmation of state rights and ethnostatist power devolution. In Europe, this requires the top-to-bottom rejection of hyper-nationalist Einzelgang, i.e. of nationalist projects such as Napoleon’s and Hitler’s. In Europe, a people - or a few peoples - may very well be the ‘chosen’ carrier(s) of the Imperial Idea, but this implies responsibility rather than superiority. Accordingly, the construction of an Archaeo-Futurist New European Empire will have to recognize the natural central role of the German people (which was also the ‘carrier nation’ of the ancient Holy Roman Empire), as well as the need for a pragmatic anti-globalist alliance on the Franco-German-Russian axis. Given the fact that the globalist hostile elite prioritizes the ‘pyro-political’ destruction of the Franco-German space - as currently realized in the Macron-Merkel strategy of Umvolkung à l’outrance - the Reconquista of Europe will have to start from its natural geopolitical citadel, which is Russia. The anti-globalist liberation of Russia, initiated by President Putin, provides a natural ‘fall back’ position for a meta-political counteroffensive that ‘rolls back’ globalism from east to west. The confederative and multipolar vision of Eurasianism, as formulated by Aleksandr Dugin, provides a good starting point. Once again the ancient adage holds true: ex oriente lux. To conclude this essay, it seems proper to support Steuckers’ plea for micro-re-territorialization by elaborating the strategy he suggests in the European context. Such elaboration will be required if the globalist ‘EU projects’ implodes within the foreseeable future - a scenario that is increasingly conceivable. Such implosion will require the smaller states of Europe to immediately re-position themselves in a post-globalist New Europe: they will have to re-invent and re-orient themselves. Even states of modest size and most weight, such as the three states currently occupying the Low Countries, may then gain a new lease of life. A New Europe will offer opportunities to regain lost state sovereignties, lost ethnic identities, lost national currencies and lost social welfare models. The collapse of the globalist ‘EU project’ and the disintegration of globalist control mechanisms will provide the smaller states of Europe with the freedom to develop themselves according to their particularities and unique characteristics. At the micro-level this potential is illustrated by the smallest European states: in many regards, the microstates of San Marino, Andorra, Monaco and Liechtenstein have swum through the mazes of the globalist net. They have been able to optimally develop themselves in their own small biotopes without abandoning their identities. They have been far better able to defend the rights of their indigenous peoples than the smaller EU member states: their peoples still maintain many of the judicial privileges, economic safeguards, social dominance and cultural hegemony that have been lost under the direct globalist rule of the EU. There, citizenship and residency are not handed out to every ‘labour migrant’. There, welfare payments and housing facilities are not made available to every ‘asylum seeker’. There, the indigenous people are not expected to bend to every whim of cultural-marxist ‘diversity’ spin doctors. There, modern technology and economic prosperity have been proven to be entirely compatible with ethnic dominance and cultural hegemony. Without denying the specific circumstances and without ignoring the specific problems of the microstates, it is still possible to discern in them the first features of an Archaeo-Futurist Revolution. In this regard, a place of honour is reserved for the Principality of Liechtenstein, which has been benefitted from the direct and personal rule of hereditary Prince Hans-Adam II since the democratically approved constitutional reform of 2003. The Liechtenstein Archaeo-Futurist experiment proves that semi-decisionist governance and protected ethnic identity can very well be combined with a free market mechanism, great prosperity and a high level of social-economic development. 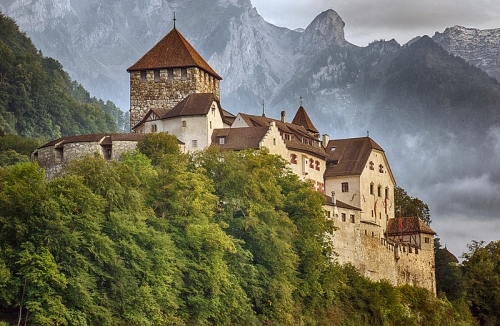 Perhaps it is no coincidence that Liechtenstein, which actually constitutes the last legitimately ruled remnant of the Holy Roman Empire, has given rise to a first indication of how an Archaeo-Futurist Europe may look like. 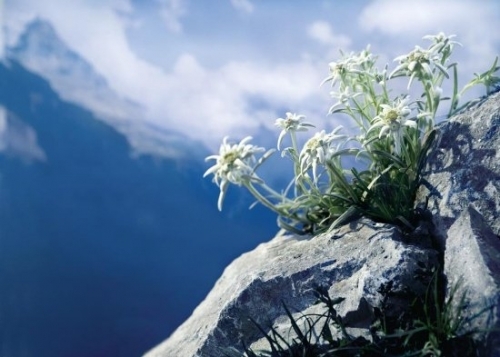 This ‘Edelweiss Model’, hidden high between the Alpine peaks, may inspire the smaller and medium-sized member states of the EU to reject the ‘Calimero argument’, i.e. the globalist argument that they are ‘too small’ to be able to stand on their own legs. From a global (not: globalist) perspective, the situation of the European microstates is effectively not all that different from that of the smaller EU member states. Even at a larger scale, the ‘Edelweiss Model’ offers a viable alternative to globalism: the social-economic and ethnic models of smaller and medium-size of the prosperous Pacific Rim - Malaysia, Singapore, Brunei, Taiwan, South Korea - offer ample illustrations of viable non-globalist policies. The fact that the ‘backward’ institution of the Monarch has been preserved in some of the smaller EU member states - in Scandinavia and the Low Countries - may very well provide them with a distinct advantage: the Monarchy can function as a ‘reserve sovereignty’ on which, in due time, a decisionist counter-offensive against liberal-normative globalism can base itself. Thus, for the Small House of the Netherlands, a New Europe may start with an ‘Edelweiss Model’ re-positioning. Decades of neo-liberal ‘disaster capitalism’ and cultural-marxist ‘deconstruction’ have caused social implosion and ethnic replacement on an unprecedented scale: the ruins of fifty years ‘purple’ prove that the Small House known as ‘The Netherlands’ is slated for demolition under globalist EU rule. 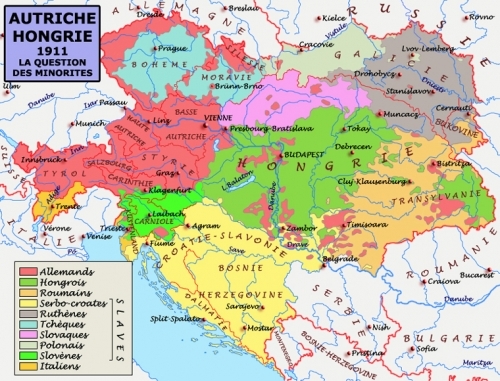 The Low Countries - Belgium, the Netherlands and Luxembourg - would be well advised to start thinking about a viable alternative: subsidiary-based sovereignty and ethnicity-based identity within a New Europe - a Europe that may be inspired by the Archaeo-Futurist Imperial Idea and the Eurasianist confederate idea. This is what the Low Countries - and all the nations of the West - deserve: a place between the Edelweiss. https://ec.europa.eu/digital-single-market/en/modernisati... - note the intriguingly explicit link that is here made between the proposed measures and the recent ‘Marrakesh Pact’ that aims at speeding up the ethnic replacement of the European peoples. A (double entendre) reference to the title of the post-modern – and ‘pre-apocalyptic’ - art documentary Sophie Fiennes (2010). For a summary Traditionalist interpretation of the science fiction genre – as hierophany and cryptomnesia – cf. Alexander Wolfheze, The Sunset of Tradition and the Origins of the Great War (Newcastle upon Tyne: Cambridge Scholars, 2018 - https://www.cambridgescholars.com/the-sunset-of-tradition... ) 240ff. For a psycho-historical ‘update’ on this theme cf. Alexander Wolfheze, Alba Rosa. Ten Traditionalist Essays about the Crisis in the Modern West (London: Arktos, 2019 - https://arktos.com/product/alba-rosa/ ) 35ff. In pre-postmodern scientific sources Truganini is mentioned as the last full-blood Tasmanian and the last mother-tongue speaker of the Tasmanian language. She was born around 1812 as a daughter of the chief of the indigenous people of Bruny Island, located just off the southern coast of Tasmania. She survived the massacres, rapes and relocations of British colonial Umvolkung of her motherland and died in exile in 1876 – after her death, her skeleton was exhibited as a ‘scientific curiosity’. Cf. Wolfheze, Sunset, 318ff. For a ‘techno-philosophical’ forward projection of this ‘evolutionary’ development cf. Jason Jorjani, World State of Emergency (London: Arktos, 2017) 69ff. A term used by the anti-multicultural French political philosopher Charles Maurras (1868-1952), known as a proponent of ‘national integralism’ and chief ideologue of the monarchist and anti-revolutionary movement Action française. ‘Shielded property’; a charity institution serving the public good as defined by Islamic Law (e.g. a mosque, a school, a bathhouse). During the French Revolution, the Jacobin Club was based in the Jacobin monastery in the Paris Parijse Rue Saint-Honoré – it was an extreme-left party-political organization founded by radical freemasons led by Maximilien Robespierre. It attempted to enforce its vision of secular republicanism and social revolution through judicial murder and state-sponsored terrorism. During the Russian Revolution, Lenin’s political methodology was directly inspired by the Jacobin experiment. References to, respectively, the pan-Hispanic-American, anti-imperialist and semi-socialist ideology that is named after the 19th Century South American freedom fighter Simón Bolívar first formulated by Venezuelan President Hugo Chávez (1954-2013), and the ‘Pink Tide’ of (semi-)anti-globalist en progressivist political reform movement that dominated large parts of Latin America during the years between the election of Venezuelan President Hugo Chávez (1999) and the impeachment of Brazilian President Dilma Roussef (2016). The European Commission consists (after ‘Brexit’) of 27 unelected ‘Commissioners’ (mark the nomenclature similarity with the old Soviet ‘Commissars’) that are nominated by the member state governments and that have an absolute executive power, aside from their monopoly on legislation initiative and a strong control over the European judiciary. Thus, the European Commission, headed by former Luxembourgian PM Jean-Claude Juncker since 2014, effectively has dictatorial powers, even if it chooses to use this power in an almost exclusively negative sense through its institutional deference to laissez-faire neo-liberalism and ‘open borders’ cultural-marxism. In theory, the European Parliament has the power to veto Commission nominees and to fire sitting Commissioners, but in practice, these prerogatives are dead letter shams: appointments are exercises in consensus politics and dismissals are blocked by parliamentary sabotage. A further ‘democratic deficit’ is found in the fact that the turn-out for the elections of the supposedly ‘controlling’ European Parliament is structurally lower than 50%. Wahhabism, named after Sunni Islamic religious leader and reformer Mohammed al-Wahhad (1703-92), is a fundamentalist and iconoclastic doctrinal movement within the Hanbali School. The use of the term ‘Wahhabi’ as a reference to a follower of this movement is mostly restricted to its opponents: its supporters prefer to use terms such as muwahhīd (‘monotheist’) or Salafist. Wahhabism is characterized by a militant and even aggressive purism that is realized in regressive social practices within its community and institutional intolerance to the outside world. In contemporary geopolitics, the historically pragmatic alliance between the Wahhabite clergy and the Saudi Royal House results in phenomena such an ‘Al-Qaida’ and the ‘Islamic State’. Salafism (salaf, ‘predecessors, forefathers’, concrete: the first three generations of religious authorities in Islam) is a Sunni-Islamic religious reform movement that was inspired by 18th Century Wahhabism, originating in the 19th Century Egypt resistance movement against the social effects of Western imperialism. Although the whole Salafist movement opposes Western-style secularism and democracy, only a small minority of its followers (the so-called ‘Jihadists’) supports an armed ‘holy war’ to achieve the Salafist aims of social reform. The Hanbali maḏab (‘ethical code’, concrete: doctrinal ‘school’), which was founded by Ahmad ibn-Hanbal (780-855), is the smallest of the four legal traditions of Sunni Islam – its dominance as a religious and social code is limited to the Arabic Peninsula (where it has been incorporated in public law in Saudi-Arabia and Qatar). The Hanbali School is characterized by an effective rejection of ijmā‘ (‘specialist consensus’) and ijtihād (‘mental effort’) and a very restrictive application of qiyās (‘deductive analogy’) in Islamic legal practice. The social conservatism and financial power of the Gulf States have made the Hanbali School an attractive ideological base line for islamist extremists. The ‘Pilgrim Fathers’ were the English (mostly radical-Calvinist) religious dissidents who went into exile in the Dutch Republic in 1609 before emigrating to North America, where they founded Plymouth Colony (which was later absorbed into the Massachusetts Bay Colony). They are regarded as the founding fathers of the American nation (here ‘classically’ defined as ‘White Anglo-Saxon Protestant’) and as the instigators of the American Thanksgiving Day tradition (which may have been shaped by their memory of the Leyden October Festival celebrating the lifting of the Leyden Siege in 1584). The concept of the ‘noble savage’, supposedly still ‘uncorrupted’ by the globalist-imperialist expansion of ‘unnatural’ Western civilization, was an integral part of 18th Century Enlightenment thought. The term is widely but wrongly attributed to the French philosopher Jean-Jacques Rousseau (1712-78). Rousseau’s work did provide a prominently ‘proto-oikophobic’ twist to the older notion of ‘romantic primitivism’, which is, in fact, archetypal (cf. the ‘Enkidu’ character in the Gilgamesh Epic). For an Archaeo-Futurist re-interpretation of the Enlightenment motive of the ‘noble savage’, cf. Wolfheze, Sunset, 318ff. A reference to the semi-genocidal pacification campaign of early 1794 that was ordered by the Jacobin Republican regime in the aftermath of the War in the Vendée - it combined the strategies of scorched earth and ethnic cleansing and claimed the lives of up to 40.000 civilians. The concept of soevereiniteit in eigen kring, or ‘sphere sovereignty’, stipulates differentiated authority and responsibility and is a core element of Neo-Calvinist political theory - it was important in the policies of Dutch statesman Abraham Kuyper. Text written for the occasion of the ceremonial opening of the Bavarian Walhalla Memorial (1842) - translation Alexander Wolfheze. Cf. Wolfheze, Alba Rosa, 200ff. References to, respectively, the Biblical Fall (cf. Gen. 3:17) and Karl Marx’ theory of Entfremdung. Cf. Wolfheze, Alba Rosa, 55. 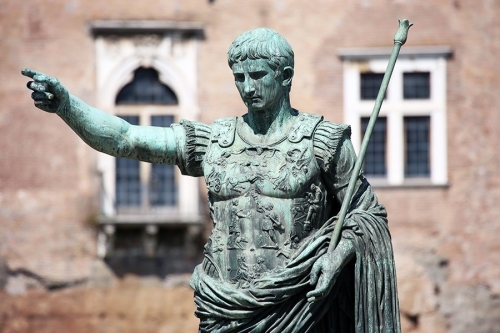 In the European Tradition the Imperator, representing the highest command authority of the Empire, carries the honorary title ‘Caesar’ in tribute to the cognomen of Roman dictator Gaius Julius (100-44 v. Chr.). One of the historical etymologies of this cognomen assumes a link to a North African word for ‘elephant’ (much of Caesar’s coinage depicts an elephant). This ‘horizon’ principle a key component of the Dasein hermeneutics of German philosopher Martin Heidegger (1889-1976) – it has recently been reactivated for Archaeo-Futurism by the American-Persian philosopher Jason Jorjani (born 1981) – cf. Wolfheze, Alba Rosa, 228ff. A reference to the modern dialectic method (‘thesis-antithesis-synthesis’), developed by German philosopher Friedrich Hegel (1770-1831) and ‘operationalized’ by German-Jewish political philosopher Karl Marx (1818-83). A reference to French comparative linguist Georges Dumézil (1898-1986) who did pioneering research into archaic Indo-European myths and social structures, known for his ‘Tri-functional Hypothesis’ regarding the original Indo-European caste system. 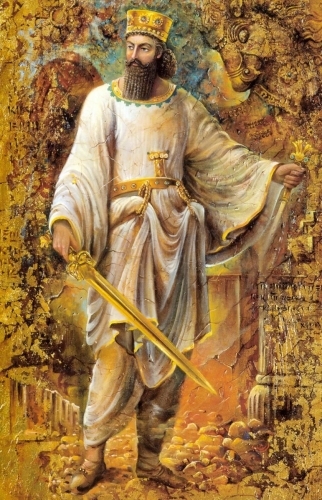 In later Persian language forms and in the Shahnameh (the national epics of Iran entitled ‘The Book of Kings’ and written by the poet Ferdowsi at the end of the 10th Century AD) this king is named Jamshid (which means ‘Shining Yama’), a mythical priest-king who is said to possess supernatural abilities and who has the charismatic character associated with the highest Katechon. Later, the Indo-European mace became a ceremonial staff (often covered with gold foil) as a power symbol for high office in all Traditions of the Ancient Near East and the Classical World. The symbolic meaning of the mace can be related (through cultural-anthropological analyses of structural oppositions) to that of the sceptre (political power), the magic wand (spiritual power) and the baton (military power). The Avestan name for one of the Zoroastrian Yazata’s (deified principles ‘worthy of worship’ – the term is etymologically related to the Greek word ἅγιος ‘holy’): this is the principle of ‘Observance’ which functions as an ‘Archangel’ and is symbolically associated with the mace of worldly power – in later Persian language forms it is known as Sorush. The Middle Persian name Ahriman finds its older equivalent in Avestan Angra Mainyu, ‘Evil Spirit’, the cosmic archenemy of the highest creator divinity Ahura Mazda. As God (Light, Truth, Order) and the devil (darkness, deceit, chaos) oppose each other in Christianity, thus Ahura Mazda and Angra Mainyu oppose each other in Zoroastrianism. In the Christian Tradition, this charisma is symbolically expressed by means of an aureola, the halo effect that is associated with angels and saints. Modern science describes this phenomenon in neurological terms (as in relation to liminal phenomena such as epilepsy, synaesthesia and hallucination). For the historical context of the concept of the khvarenah cf. Jason Jorjani, World State of Emergency (Londen: Arktos, 2017) 153-92. A reference to the Mongol conquest of the Khwarazmian Empire (approximately equivalent with ‘Persia’ at that time) by Genghis Khan that started in 1219. Shihab ad-Din Yahya Sohrawardi (1154-91), one of Persia’s Medieval ‘Masters of Enlightenment’, based his Illuminationism on the notion of prisca theologia – he was thus able to integrate pre-Islamic (philosophical concepts and) knowledge into his work. Esoteric symbolism and intellectual intuition pervade Sohrawardi’s work, which came to have a substantial influence on Western Traditionalism through the translations and interpretations of Henri Corbin (1903-78) and Seyyed Hussayn Nasr (born 1933). In the context of the Persian Tradition, this spiritual modality can be unreservedly characterized as ‘Aryan’ in the most precise sense of the word – it is this Aryan existential condition which is explored in Jason Jorjani’s books Prometheus and Atlas and The World State of Emergency. Joseph Count de Gobineau (1816-82) was a palaeo-conservative French thinker who is often mentioned as the founder of late 19th and early 20th Century ‘scientific racism’. 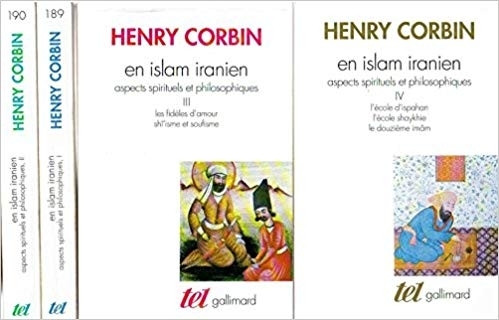 During his diplomatic service in Persia, De Gobineau developed a life-long fascination with the philosophy, history and mysteries of the Persian Tradition. A contraction of the German words Edelweiss, for, and Weisheit, ‘wisdom’. Models worth exploring are the ethnicity-based ‘Community Funds’ of Singapore and ‘Bumiputra’ privileges of Malaysia. A reference to De puinhopen van acht jaar paars, ‘The Ruins of Eight Years Purple’, the last book of assassinated patriotic leader Pim Fortuyn,. The term ‘purple’ here refers to the grand political coalition of ‘red’ social democrats and ‘blue’ neoliberals that ruled the Netherlands from 1994 to 2002. Freely inspired by the last words of William the Silent, Prince of Orange, leader of the Dutch Revolt and Dutch Father of the Fatherland (1533-84), spoken when he was assassinated after being declared an outlaw and a heretic by Philip II of Spain.